Offering something unique to cherish and treasure forever, adventure holidays in India is gaining immense popularity among travelers of all age groups. Though there are numerous thrilling activities that one can enjoy, but the excitement linked with mountain biking is unmatched. Among the diverse geographical features of India, mountains play an important role, especially the Himalayan Mountain Range that extends from the north to the east. And that’s why India always remains a favourite choice among bikers who love to vroom their engines across the winding passes of these mountainous tracks. From the rocky terrains of Ladakh to the exotic tribal hues of the North-east states, mountain biking holidays in India give several opportunities to explore the sheer beauty of the country. It is a once-in-a-life experience that every adventure seeker dreams of. 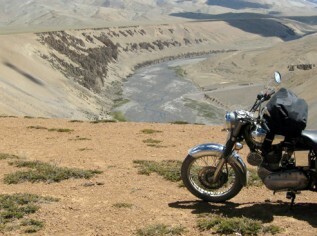 Feel the euphoria of bike tour at Khardung-la, one of the highest motorable roads in the world! Mountain biking tours in India are not only just adventurous, but are full of drama and emotions. The fun and excitement attached with the exploration of high altitudes and uneven roads is truly fascinating. Though there are several places where tourists can enjoy this escapade but mountain biking in Himalayan Range is an ultimate experience to treasure. Unpredictable weather, nomadic villages, high passes cutting through the mountains and the urge to conquer the peaks is something that captivates the imagination of every person. Some of the popular routes on which tourists can enjoy bike tours in Himalaya are Shimla to Leh via Spiti Valley, Nubra valley via Khardung la and Leh to Manali via Tanglang la.